Two dozen built-in designer templates – 16 portrait and 8 landscape – to choose from and even more great portrait template packs available for in-app purchase. What’s a comic without comic art? Choose from one of 20 killer filters to add that perfect look to your image. Choose from more than two dozen comic-style graphic elements to add BOOM!, POW!, SPLAT! or OUCH! and more to your cover. You’ve got something to say? 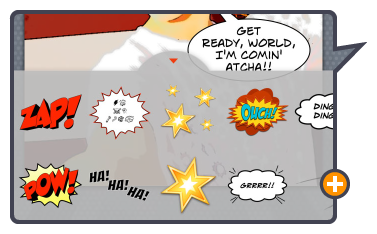 We’ve got a great suite of speech balloons, captions, headlines and more to choose from, and pro comic fonts to do it with. Once you have it like you want it, upload your masterpiece to Facebook or Twitter, and more, or save it to your camera roll. Or for real impact, send it directly to a Kodak® service center near you for beautiful, glossy prints from 4×6″ to 8×10″. For iPhone or iPod touch. Requires iOS 8.1 or later. 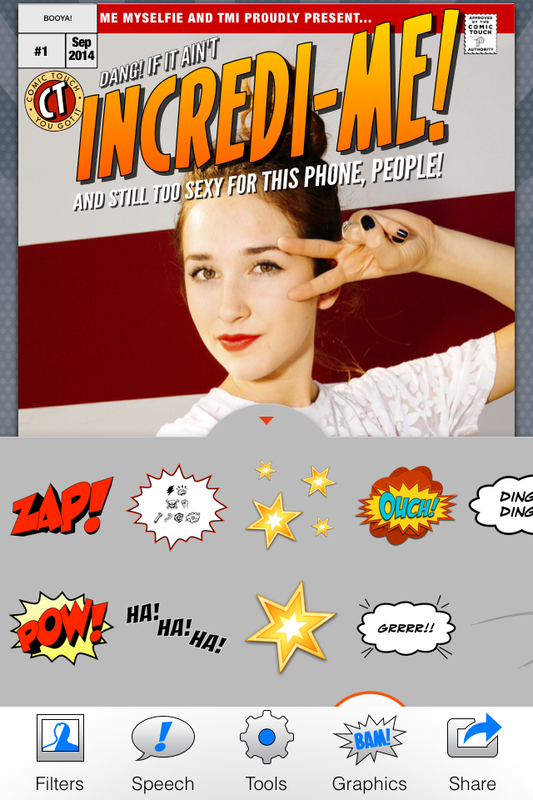 Comic Touch is as easy to use as Comic Life ... maybe even easier. The interface is clean, simple and fun! Here are a few images showing a few simple steps to produce a "posterised" comic of one of the kids ... there are a ton of features for all sorts of cool effects … Lots of options and you can share your creations in the usual ways - straight to social media or back to your camera roll for use in other places. It's a cool little app ... great for free and I'm sure you and students will love it!